Great white sharks were spotted off the Orange County coast, just the latest in a rash of shark sightings in Southern California. HUNTINGTON BEACH, Calif. (KABC) -- Great white sharks were spotted off the Orange County coast, just the latest in a rash of shark sightings in Southern California. 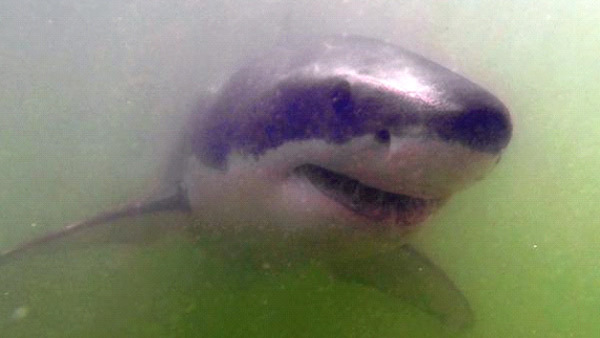 The sharks were spotted in the waters between Seal Beach and Huntington Beach. An Orange County Sheriff's Department helicopter was able to take video of the sharks, and a crewman on a Harbor Patrol boat also took pictures. Great white sharks were spotted off the Orange County coast. See photos.